How do you measure change? 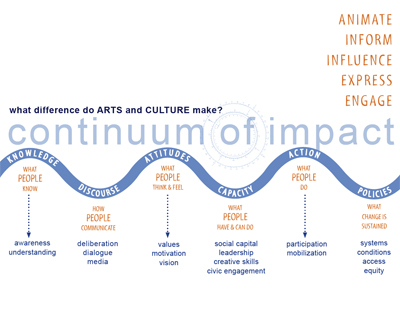 Articulating clear and realistic outcomes is key to designing effective arts programs. Knowing what to look for as evidence of change and how to collect that evidence is key to measuring social impact. Stakeholders often describe articulating outcomes and defining related indicators of change as the most challenging part of evaluation work. This section aims to make your job easier.